We won! 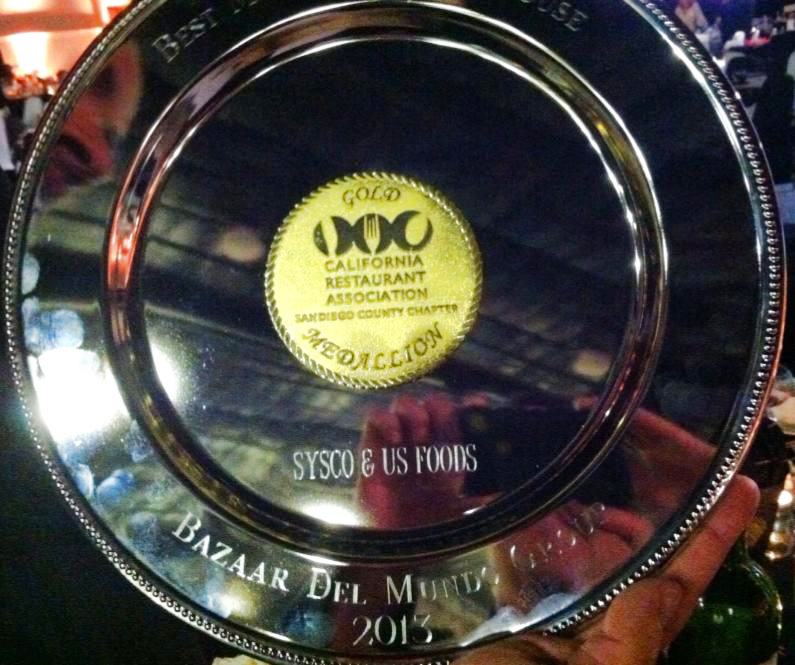 The California Restaurant Association has awarded the Bazaar del Mundo Restaurants – Casa Guadalajara, Casa de Pico and Casa de Bandini – the 2013 Gold Medallion Award for the Best Mexican Restaurants in San Diego. This entry was posted by The Guadalajaran on June 13, 2013 at 6:55 pm, and is filed under Blog Entries. Follow any responses to this post through RSS 2.0. You can leave a response or trackback from your own site.